Maryland is a state full of beautiful places to explore and fun activities to participate in. One great winter endeavor is Maryland cross country skiing. This diverting activity is a great way to explore the area that Lake Pointe Inn calls home as well as get some exercise and test your endurance. Because our region receives so much snow each winter, there are plenty of opportunities to try out this challenging yet rewarding sport. Below are a few places that offer lessons and rentals for a memorable Maryland cross country skiing experience. Wisp Resort is just across the street from Lake Pointe Inn, and is a popular destination for outdoor lovers year round. In the winter, in addition to downhill skiing, tubing, and ice skating, Wisp has cross country skiing opportunities. 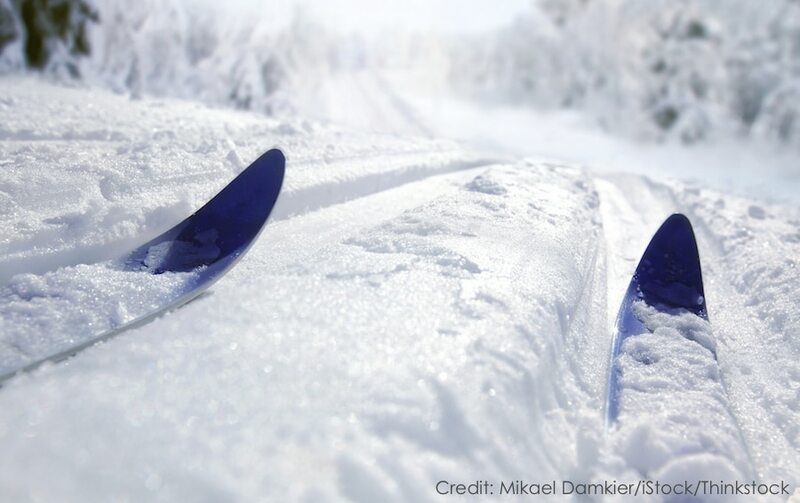 The Wisp Outdoors Nordic Center offers cross country skiing on a 50 kilometer trail that includes both flat and rolling terrains as well as wooded areas, and open areas. The resort has cross country ski rentals as well as tours and classes for those just starting out. This state park is located just outside Oakland, MD and covers 365 acres. The park offers ski rentals and has a variety of wooded trails to explore during winter months. This farm in Oakland is home to several Maryland cross country skiing trails. The farm also offers rentals and lessons. Savage River Lodge in Frostburg is another popular place to try Maryland cross country skiing. The property includes more than 700 acres forest as well as 13 miles of trails of varying degrees of difficulty. Equipment rental is also available as are lessons. No matter where you decide to do your Maryland Cross Country Skiing, be sure to book your stay at Lake Pointe Inn in McHenry. Our location on Deep Creek Lake is convenient to many of the above skiing venues and offers an unforgettable experience of its own. Plus, if you can’t get enough of the snowy outdoors, you can enjoy snowshoeing right here at Lake Pointe. Guests of the Inn are invited to borrow a pair of our snow shoes and do some exploring in the beautiful area that surrounds the Inn. Our rooms and suites are the ideal place to return to after a day enjoying the myriad of winter activities the Deep Creek Lake area has to offer. Warm up by the gas fireplace in your room, or come out to the common room and mingle with other guests. While all of our rooms and suites are individually decorated in the Arts and Crafts tradition, they all have their own private bathrooms and amenities like Egyptian cotton towels and linens, Gilcrest and Soames bath products, and Lake Pointe Inn robes. Some rooms also have private balconies,spa tubs, and steam showers. Our guests also enjoy a full breakfast each morning with hot entrees and fresh coffee and juices. Or if you’re heading out early for extra time on the trails, you can take advantage of the plentiful continental breakfast that’s available. At Lake Pointe Inn, you’ll have a getaway you won’t soon forget!